Sonic – Get Corn Dogs for 50 cents. 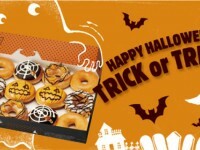 Krispy Kreme – Receive a free donut for everyone wearing a costume. 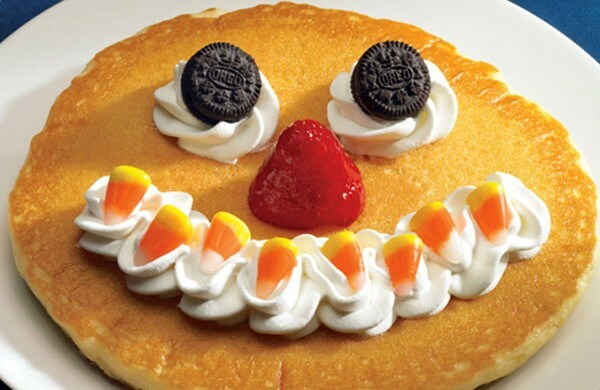 Sbarro – Wear a costume, and with a $5 purchase, get a free slice of cheese pizza. Chipotle – Get a burrito or salad for $3 if you come dressed in a costume. 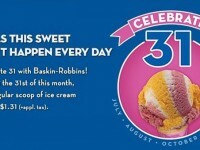 Coffee Bean – Buy One Get One Free on Pumpkin flavored drinks. Wendy’s – Get a coupon book for 5 Jr. Frosties for $1. 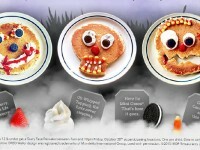 IHOP – Kids get free scary face pancakes for kids under 12.